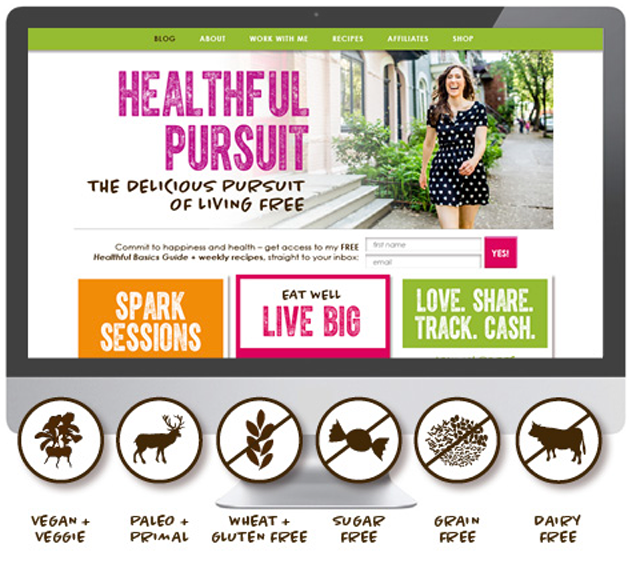 The new (and very much improved) Healthful Pursuit is here and ready for you. There are so many new features, places and spaces for you to explore that I thought it’d be helpful if I formally introduced you to the new space that I now call home. Click on RECIPES on the top navigation. Then SEARCH FREESTYLE. You can search for recipes using 1 or more of the selections in the following categories: cooking methods, eating style, meal type, key ingredients and preparation time. 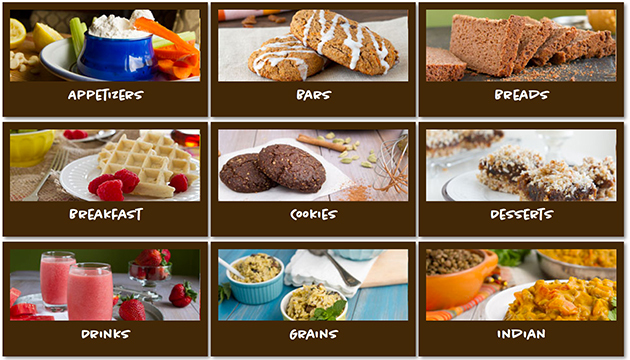 All of the recipes that meet your requirements will be displayed on the right-hand side instantly. Once you’ve selected a recipe, you’ll be brought to a separate recipe post. The post contains everything you need for the recipe + special notes and a complete nutrition profile (at the bottom). 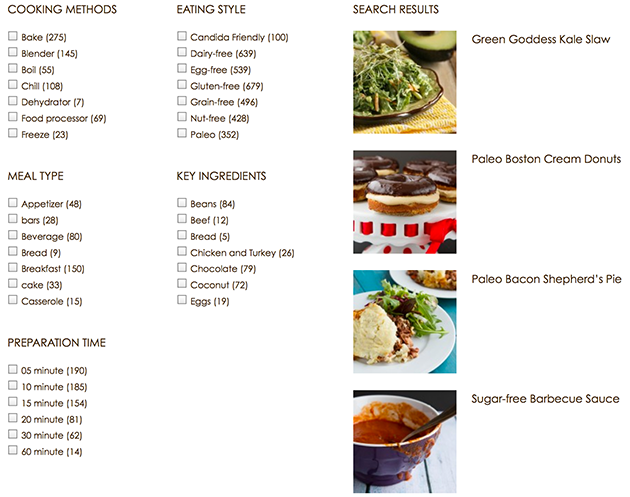 Click on RECIPES on the top navigation. Then BROWSE BY CATEGORY. Click on AFFILIATES on the main menu. 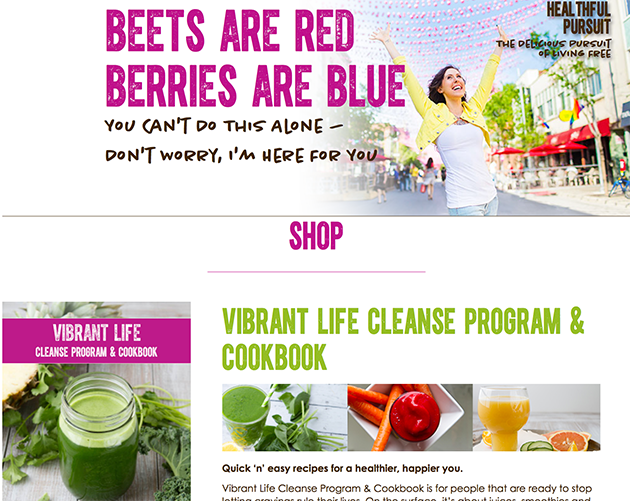 If you’re rockin’ it online and think that your visitors would enjoy my cookbooks and programs, you should become a Healthful Pursuit Affiliate Partner (and make some cash doing it)! Check out the SIDEBAR, right there to the right. 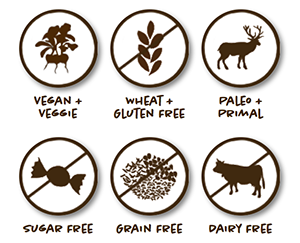 Months ago, I asked you which Eating Styles meant most to you. The top 6 are displayed in the sidebar. When you give the little circles a click, it directs you to separate category pages. Click on SHOP on the main menu. Scroll through my current cookbooks and programs. From desserts, cleanses, meal planning and a bit of Christmas cheer. Yes, I said Christmas in May. Grain-free, Vegan & Paleo Tiramisu is a year-round thing if you ask me. Kate Moore hustled to code the heck out of the site. Integrity is her name of the game. I am extremely honored to now call her a friend. Natasha Lakos is the master behind the design! Todor Gaidarov; aka WordPress King, literally saved the day. Without Todor, this new site never, ever, ever would have gone live. Ever. Vivan Doan‘s work is all over the new site. Headers, footers and love letters. Working with Peter Hurley in his New York studio was a dream come true. His images are sprinkled throughout and can be found in my brand new press kit, too. I hope you enjoy this new space we have created for you. If you find anything that’s out of place, please let me know by commenting below or shooting me a quick message.